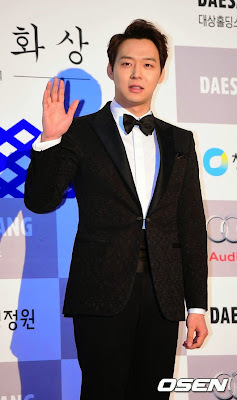 On December 17, the 35th Blue Dragon Film Awards took place at the Sejong Center for the Performing Arts in Jongno, where Park Yoo Chun received the Best New Actor Award. 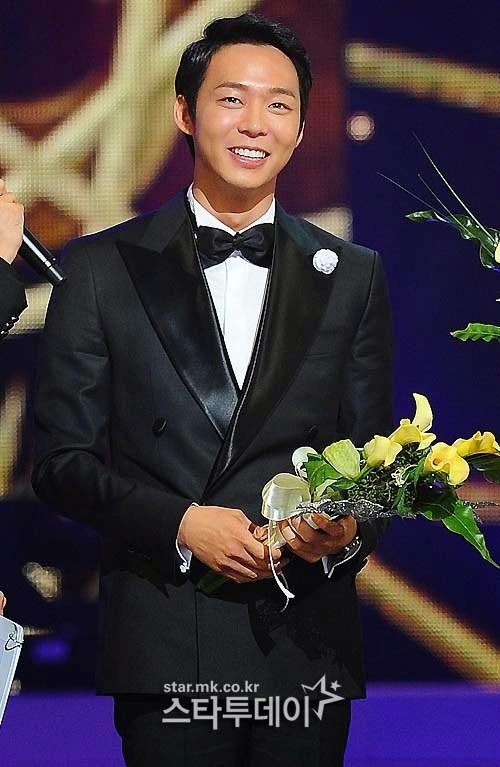 Following his awards at the 51st Daejong Film Awards, the 15th Busan Film Critics Association, and the 4th SACF Beautiful Artists Awards, this will be his fifth award of the year. Park Yoo Chun was up against Friend 2′s Kim Woo Bin, The King of Jokgu′s Ahn Jae Hong, The Attorney′s Im Si Wan, and The Divine Move′s Choi Jin Hyuk. 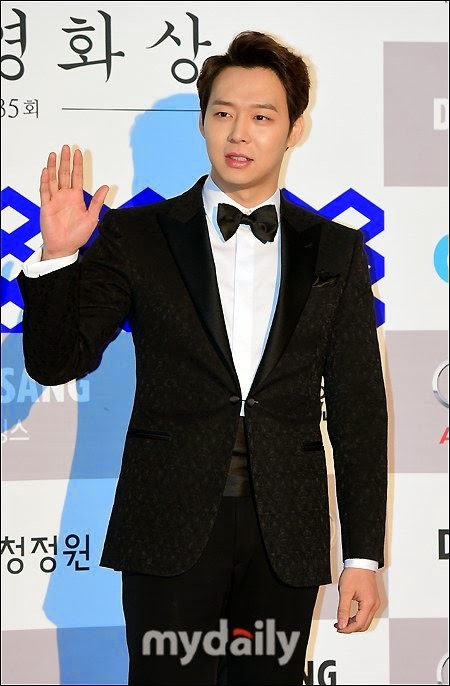 "I′m a little dazed to receive an award as soon as the ceremony started, but I′m sincerely grateful," said Park Yoo Chun. 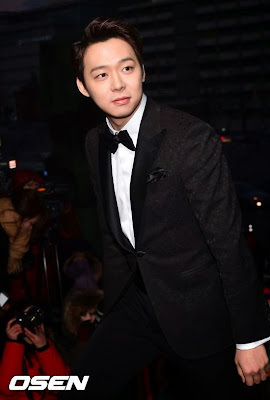 "First off, I learned that a large number of people suffer in order to film a movie while I was filming my first movie," said Park Yoo Chun. 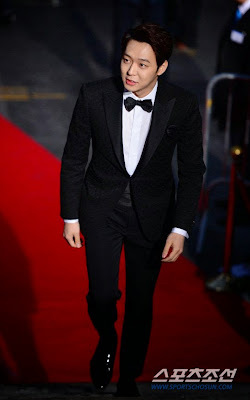 "I learned that acting is not an easy thing and studied even more. 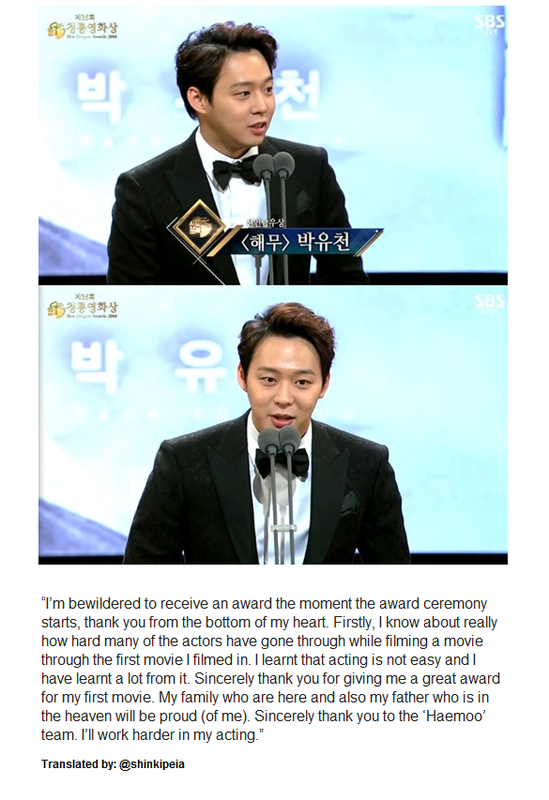 I sincerely thank you for this great award for my first movie." 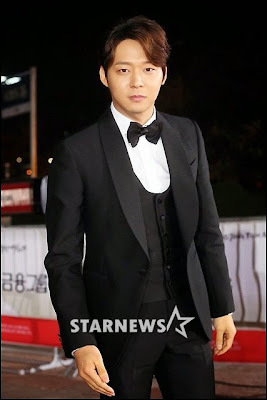 "I think that my family who is here and my father in heaven will be very proud of me," continued Park Yoo Chun. "I sincerely thank the Sea Fog team. I′ll work hard in acting." 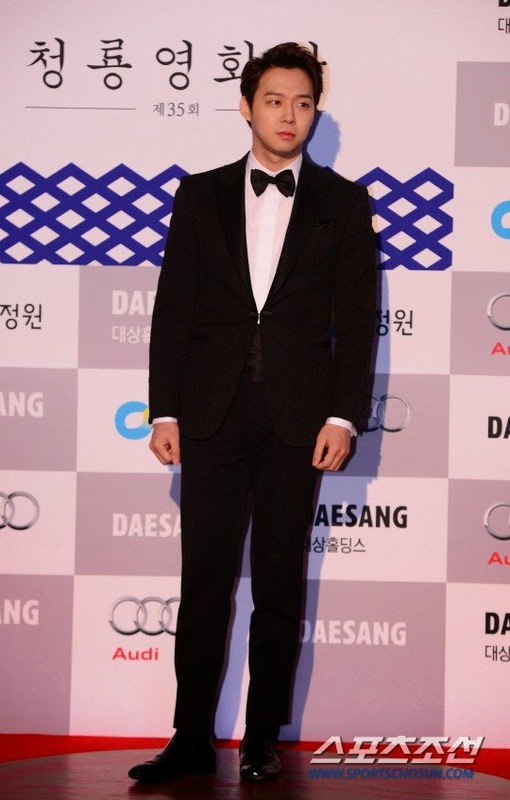 The 35th Blue Dragon Film Awards is an award ceremony that looks back on all the Korean films that premiered in the past year. 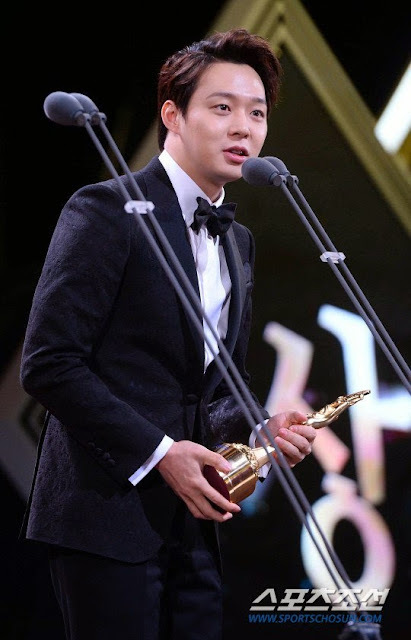 Through a selection process of professionals, surveys, and netizen voting, 18 different awards, including Best director, Best Leading Actor and Actress, Best Support Actor and Actress, and more, are given.